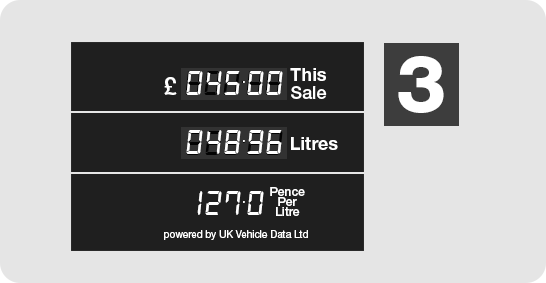 We offer complete UK coverage of fuel price data updated on a daily basis1 for the vast majority of UK fuel stations. We are able to offer Petrol and Diesel prices per forecourt including Premium grades such as Super unleaded and high cetane content diesel. Whatever your live API Fuel price needs we think we have it covered. We can deliver fuel price data in various ways usinf our petrol and diesel database. Combine this with our Vehicle Data API fields of Fuel tank capacity and Miles per gallon, and you have a very powerful dataset. 1. 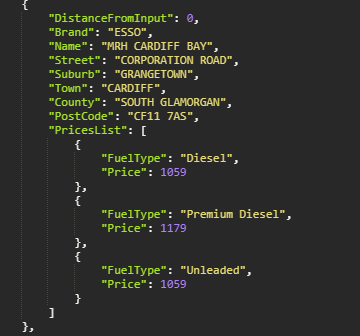 UKVD's fuel price data is updated from all UK forecourt resellers via an exclusive API on a daily basis. On average this is an 85% daily coverage per day and a 99% coverage over a rolling week. Not all stations are able to be updated every day due to varying technical issues. A date of last update is included per station.